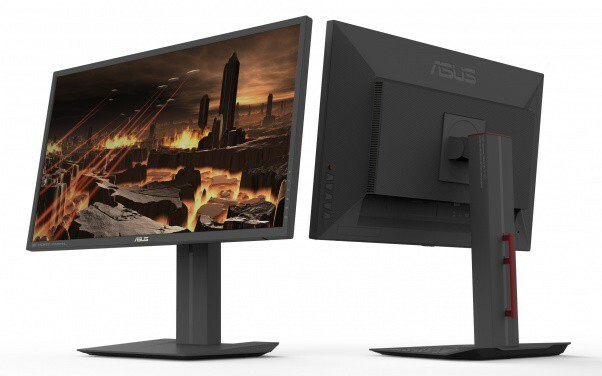 ASUS has announced three new budget gaming monitors, the ASUS VP248QG, the ASUS VP248QGL, and the ASUS VP248H. All three monitors feature a TN panel with a 1ms response time, 1080p resolution, and AMD FreeSync up to 75Hz. The monitors differ by design and connector options. 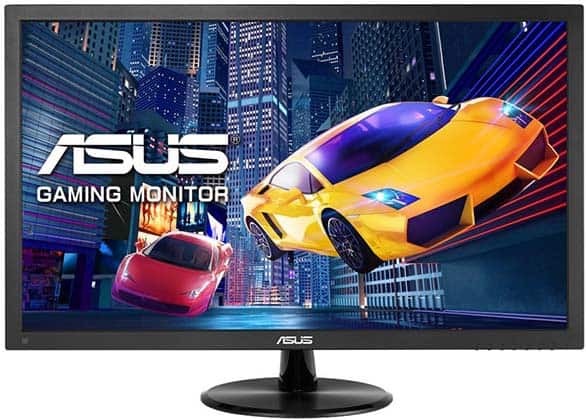 The TN panel featured in the ASUS VP248QG and the rest of the monitors is nothing new. You can expect the same old 170°/160° viewing angles and a quick 1ms response time speed for minimal motion blur and ghosting. Other panel-related specifications are also pretty standard including a contrast ratio of 1,000:1, a 250-nit peak brightness, and the standard sRGB color gamut with dithered 8-bit color depth. 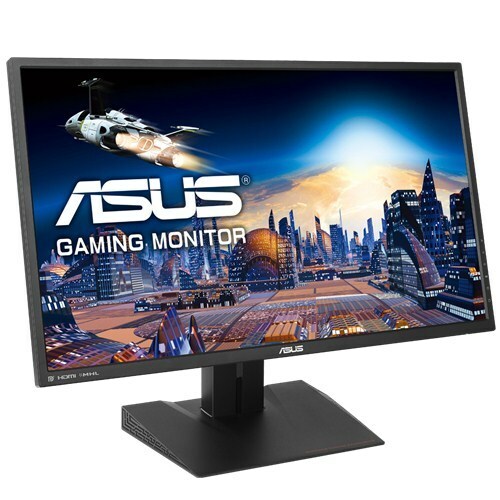 The Full HD resolution of the 24-inch ASUS VP248QG display will provide you with a decent pixel density and as it’s not very demanding to drive, allow you to reach those high frame rates in competitive first-person shooters. ASUS GamePlus feature is available in all three models. This feature consists of an on-screen timer, customizable crosshair overlays, and an FPS (Frames Per Second) counter. In the OSD (On-Screen Display), you will also find the ‘TraceFree’ feature which is an overdrive setting for the response time speed. Additionally, if you have a FreeSync-supported card by AMD, you can enable the variable refresh rate technology which gets rid of screen tearing and stuttering within the dynamic range of 48-75Hz/FPS. NVIDIA users can also use these monitors up to 75Hz, but without the dynamic refresh rate. Finally, all three monitors are flicker-free and have an integrated low blue light filter which prevents eye fatigue. The ASUS VP248QGL (picture above) offers full ergonomic support including up to 120mm height adjustment, -5°/33° tilt, 90° rotate in both directions, -90°/90° swivel to the left and right, and VESA mount compatibility. In contrast, the ASUS VP248QG and the ASUS VP248H are tilt-only by -5°/20°, but you can also VESA mount them. 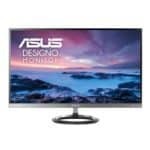 When it comes to connectivity, both the ASUS VP248QG and theASUS VP248QGL offer an HDMI, a DisplayPort, and a VGA while the ASUS VP248QH only has an HDMI and a VGA. All three monitors have a headphones jack, and two 1.5W built-in speakers. The price and release date of the displays is unknown at the time of this writing. 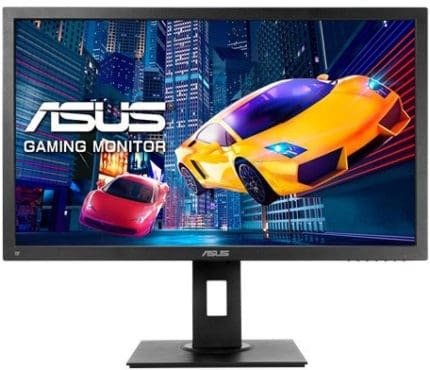 These gaming monitors can be considered as different versions of the popular ASUS VG245H which features all the same specs but a wider FreeSync range as well as thinner bezels. So, we can expect the new monitors to be more affordable.